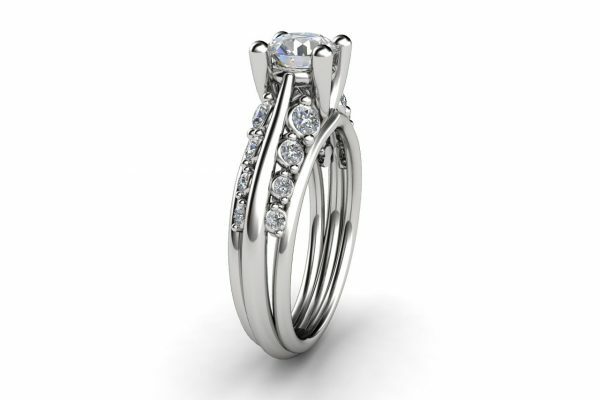 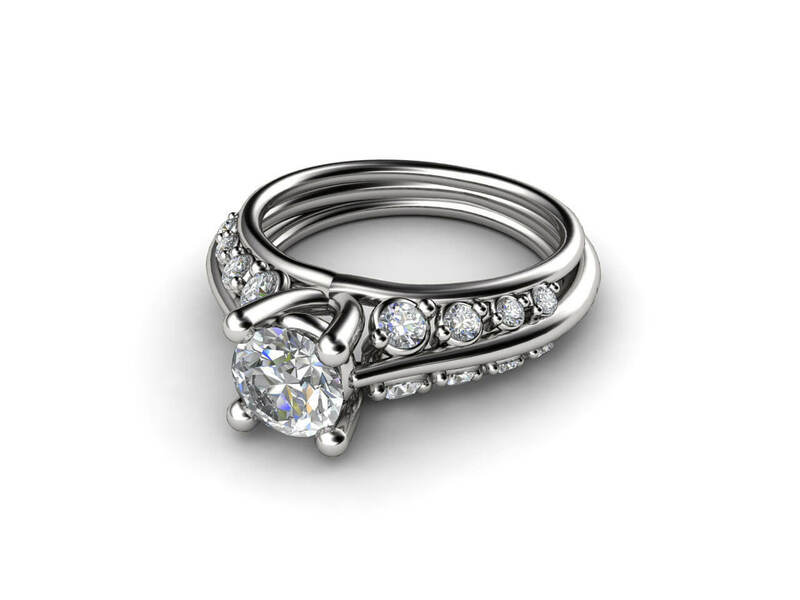 This custom-made engagement ring comes in an array of colours of metal and stones. 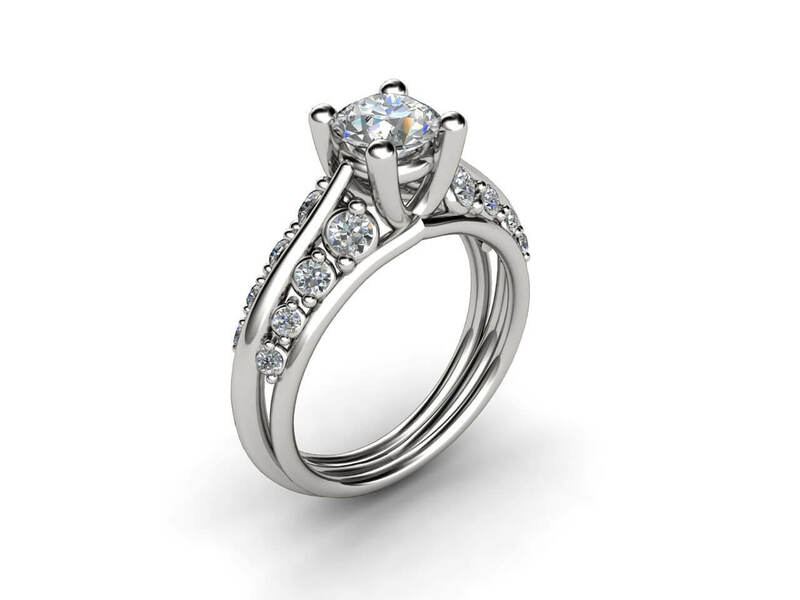 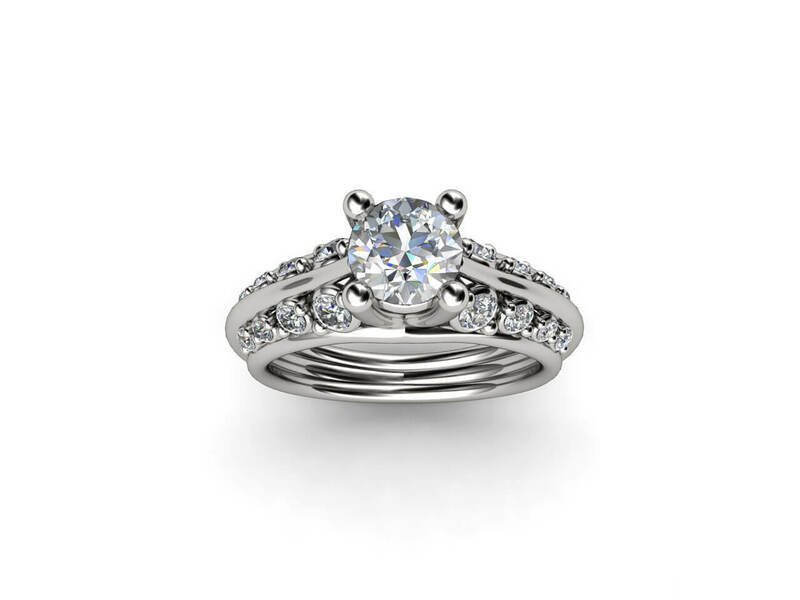 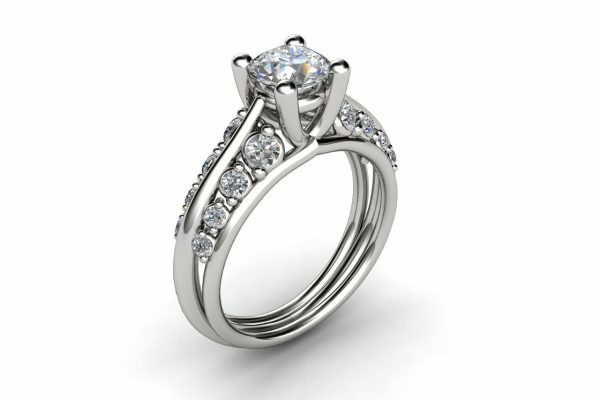 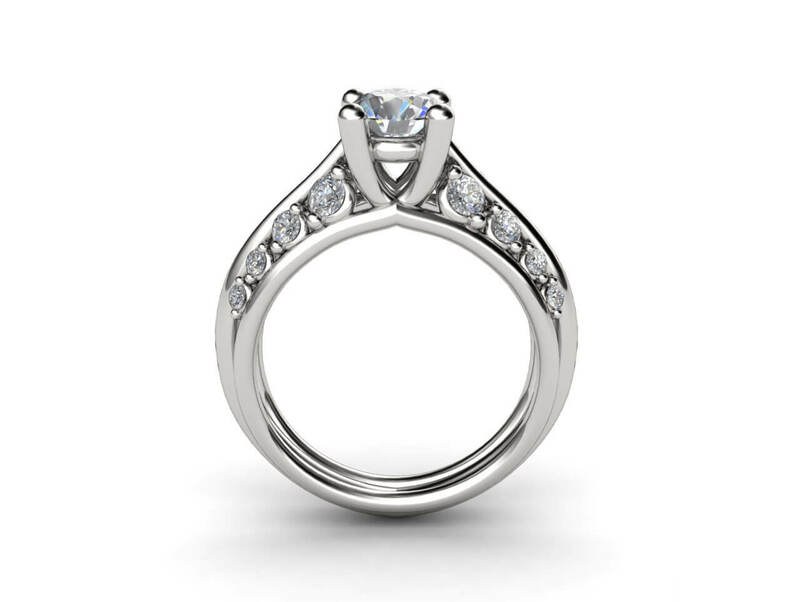 16 round diamonds pave the way to a central stone held by four solid claws. 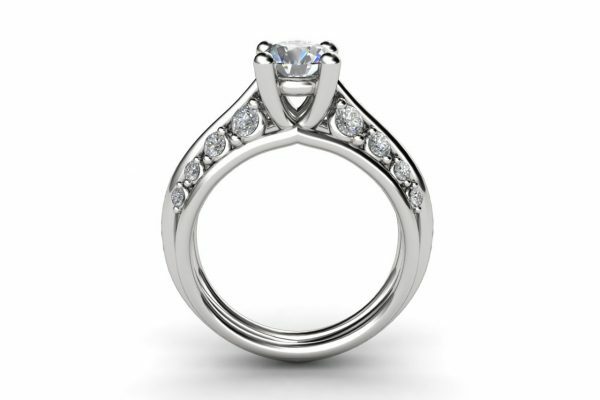 The smaller diamonds are illuminated by exceptional beading.